Guess what else also kicks off on February 12th? Valentine's Events! Guess what happens before February 12th? A whole weekend of 4XP! Season 6 arrives on February 12, 2019 with a brand new map in 2v2, a fresh Diamond Master emblem and more! Get ready 2v2 fans - beginning at the start of the season, Foundation Mid will be available in 2v2 Gnashers Only for you to play alongside Boxes! Foundation Mid has a very different play style compared to Boxes, focusing less on the center of the map and more on the two fights (Open and Closed) on either side. We hope you have fun mastering both arenas! If stat tracking is your thing, Season 6 will also reset the 2v2 Gnashers Only stats so we can accurately reflect your stats moving forward. Thanks for bearing with us while we got it resolved. Another Season also means another set of Rewards to earn! However, things will be a little different this Season than recent Seasons. As we move closer to the release of Gears 5, the team is laser focused making the game as amazing as possible. With that in mind, we won’t have the traditional two-character variant challenge (one for dedication, one for dedication and skill) this season. But that doesn’t mean we don’t have something even better – stay tuned for a special character challenge coming soon! 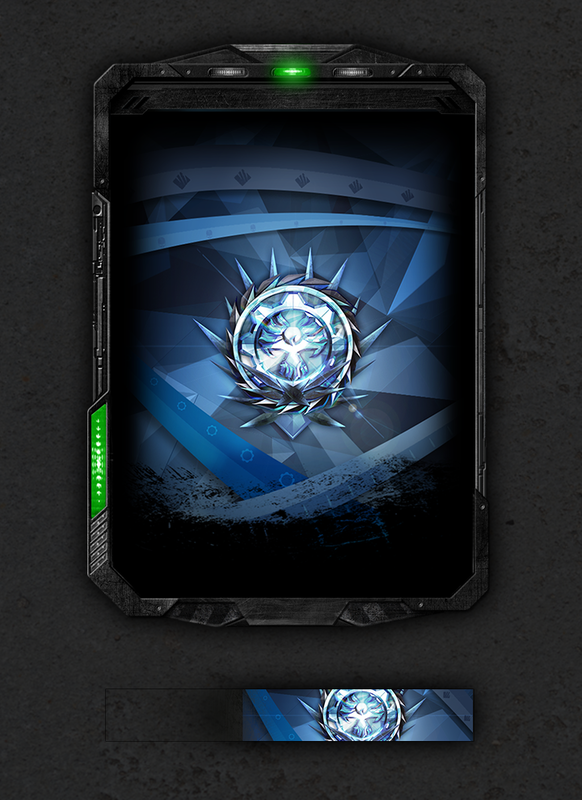 This Season’s Placement Reward Pack features the Gnasher, Dropshot, Hammerburst, Retro Lancer and EMBAR. (Update 2/11 - We have switched the Longshot and Boltok for Hammerburst and EMBAR as neither have been included for 2 seasons). 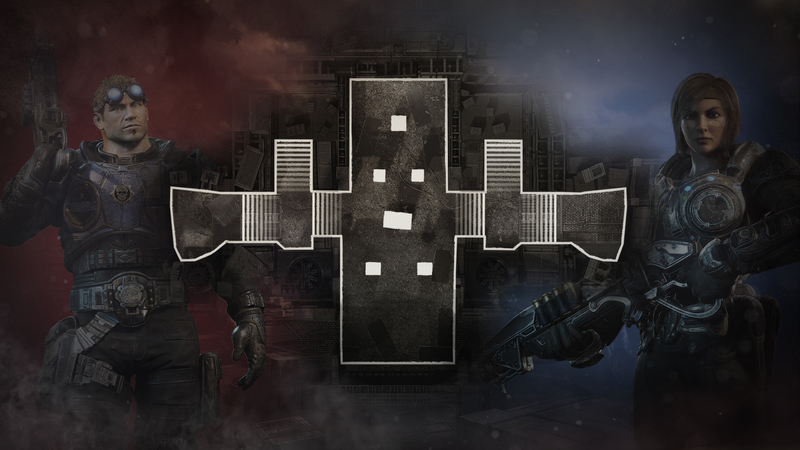 As a reminder, you now only need to hit the relevant rank in one playlist to unlock the set for that rank at GearsofWar.com/My-Rewards. For the elite few that manage to reach the heights of Diamond 5 in a Season (that’s across ALL playlists! ), we’ve got yet another Emblem for Season 6 to add to your collection – if you can make it back. Check out this Olympics-inspired take on the Season 6 Diamond Master Emblem below! *Card rarity is placeholder for display purposes only. Final card rarity will be Legendary. As a reminder, Diamond Master Emblems are delivered 6-8 weeks after the end of the season based on your high watermark placement. With one last weekend push left of Ranked Season 5, we’re turning on GLOBAL 4XP beginning Friday at 10am PT until Monday at 10am PT to make your final grind time extra rewarding. For those of you more into slaying it up in Horde, you’re getting in on the XP love too. However, it’s still considered 2XP. 2XP is not the new 1XP. 4XP is therefore double the usual XP rate in Gears 4. Clear? Clear. Trust us when we say it is most definitely the tomato tomato debate of the studio! Prepare for explosive romance. Heart Heads and Cupid Bows abound in the return of our Valentine’s Events! 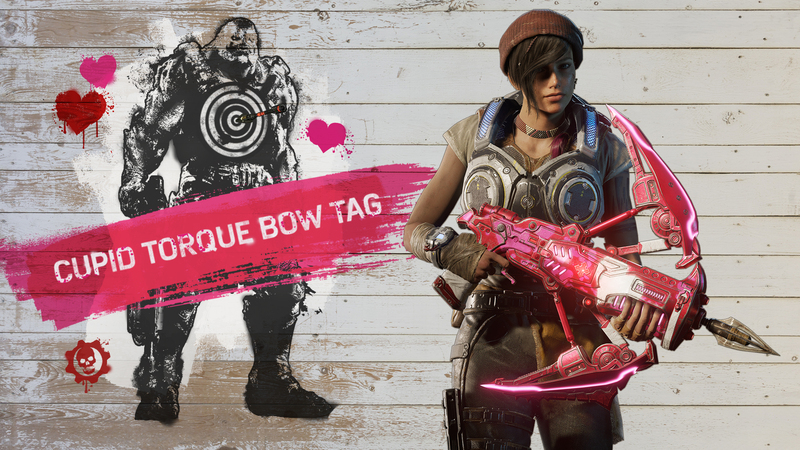 This year, Cupid’s Bow Torque Bow tag will feature another opportunity to earn the Cupid’s Bow skin as well as a massive 7 Heartbeat Weapon Skins up for grabs. Show them the power of love Gears style beginning February 12th. In case you missed it last week, this is your last opportunity to complete and claim your Rewards before the Season ends on February 12th at GearsofWar.com/My-Rewards. After the Season ends, claiming rewards for any placement based unlocks will be disabled until Season 5 stats are available on GearsofWar.com. We expect this process to take anywhere from 4-8 weeks as we run our analysis tools through the data to capture High Watermark placements. 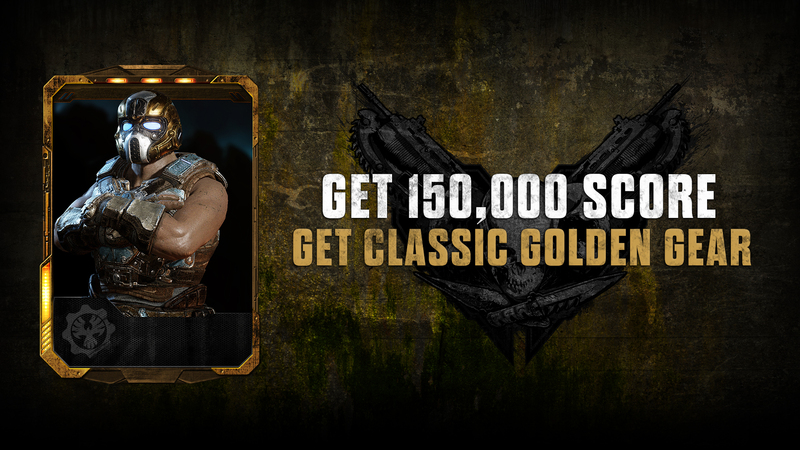 Once this process is complete and stats are available on GearsofWar.com, claiming rewards based on your highest placement in the season will once again be active. In case you missed it, we recently announced the return of The Coalition Army (TCA) program. 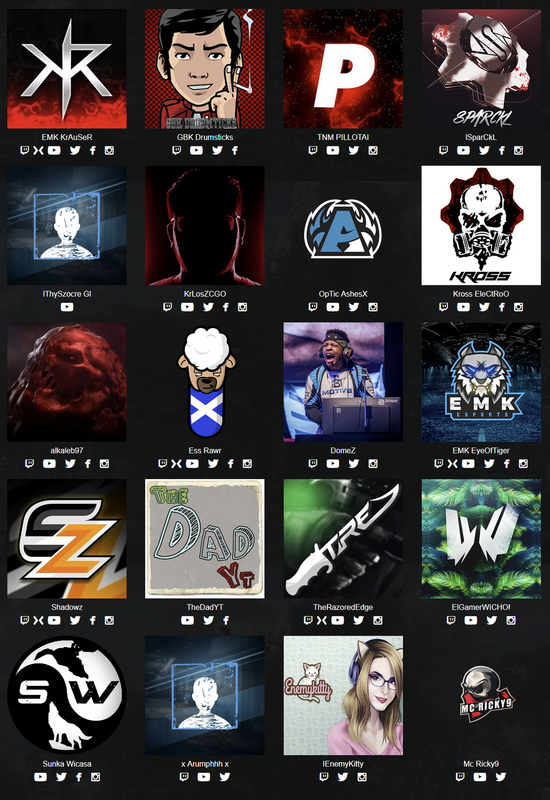 The TCA was established to support our Gears content creators. We’ve also added a Partner Program to recognize some of our top creators and give a goal for everyone to work towards. This week, we’re highlighting our TCA Partners. These fans represent some of the best creators in the Gears of War community. 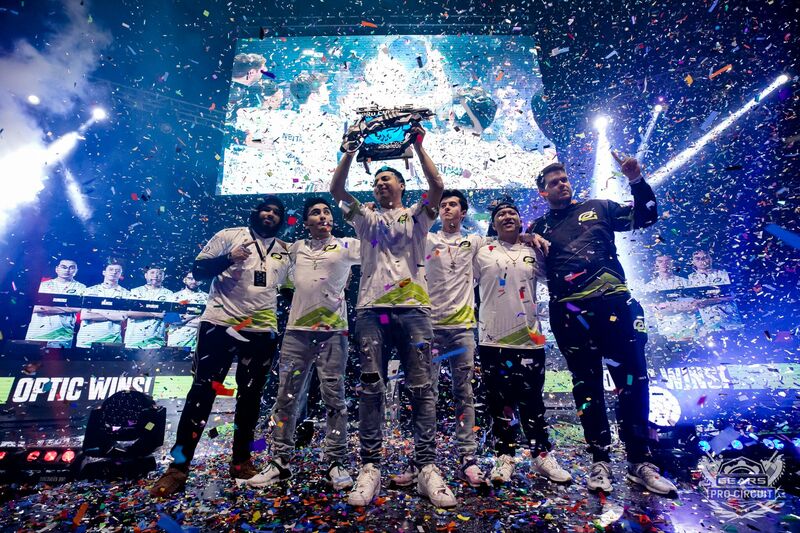 Each partner has entered the program by consistently creating high quality Gears of War content, maintaining a constructive example-setting attitude and building a loyal audience. If you’re not on the list, we’re constantly looking at worthy candidates and can’t wait to add more people in the future. Make sure to check out their great content on their respective channels, give them a like and a follow. Check them all out here. Interested in the TCA program? Enlist now! Claim another Canadian Omen skin for free (Boomshot today), play Gears 4 with us and get your questions answered.